Each year we offer a $1000 Scholarship to one matriculating Saugerties student pursuing a music education. 2018/2019 Season - our 23rd Season! NEW! Buy tickets online and pick them up the day of concert. Originally from Beijing, China, Yalin Chi made her debut with the Central Opera Orchestra before moving to the United States to study at Interlochen Arts Academy. Yalin has performed at venues including Alice Tully Hall, Weill Recital Hall at Carnegie Hall, Kumho Art Hall in Seoul, Korea, and ZhongShan Music Hall in Beijing China. As an orchestral musician, she regularly performs with Albany Symphony, New Jersey Festival Orchestra, and has held the principal keyboard position at the Hudson Valley Philharmonic since 2014. American pianist Steven Beck continues to garner impressive acclaim for his performances and recordings worldwide. Recent highlights include premieres of new piano works by Charles Wuorinen and John Zorn, and performances of Beethoven's variations and bagatelles at Bargemusic, where he first performed the Beethoven sonata cycle. Together these consummate musicians will delight you with selections from the classical repertoire for four-hand piano. The only date available for a concert at the Saugerties United Methodist Church in March conflicted with an already scheduled Ulster Chamber Music Series Concert. 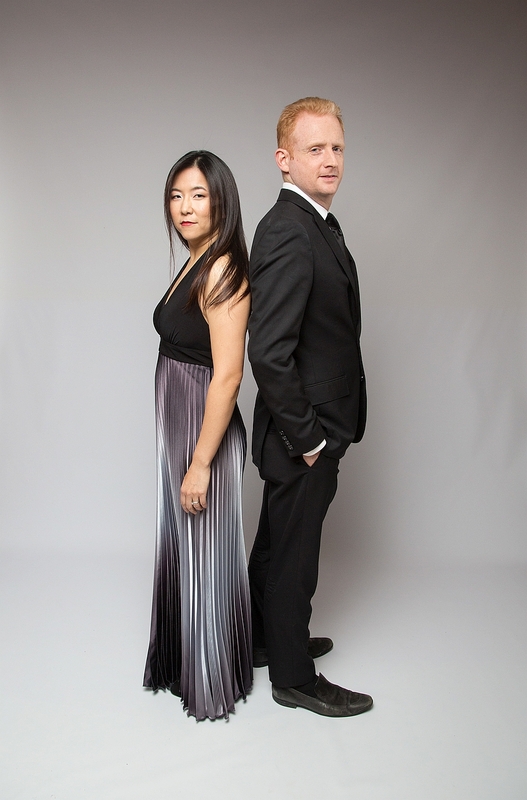 Rather than attempting to divide patrons of classical music by making them chose between different trios at different venues at the same date and time, Saugerties Pro Musica did not schedule a concert. Amazon Smile: You can support Saugerties Pro Musica by shopping with AmazonSmile, a 501(c)(3) private foundation created by Amazon to contribute .5% of sales to designated charities. You simply select Saugerties Pro Musica as your charity here and when you shop on Amazon we'll get a donation. It is a seamlessly easy way to help fund an organization you already support with your patronage. Season Tickets are $75 for all 7 concerts. Single ticket admission is $15 for Adults, Seniors $12. Students are always FREE - kindly invite some to join you at our concerts. Saugerties United Methodist Church has a handicap access ramp for the concert and an automatic chair for the stairs to the reception/restrooms.